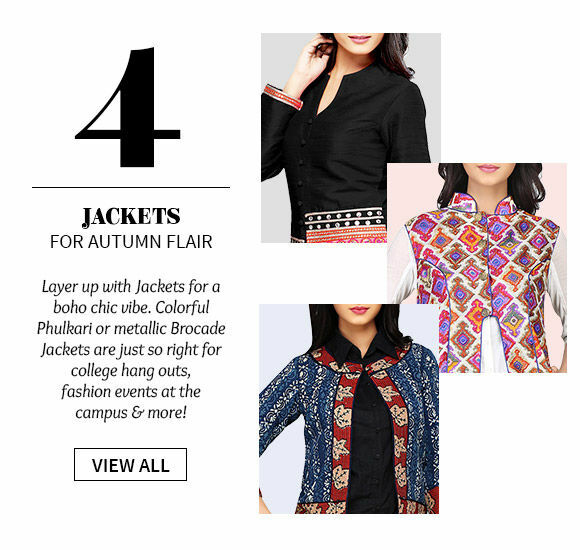 Look unique in campus anywhere in the world by wearing Indian Ethnic or Fusion instead of Westerns. 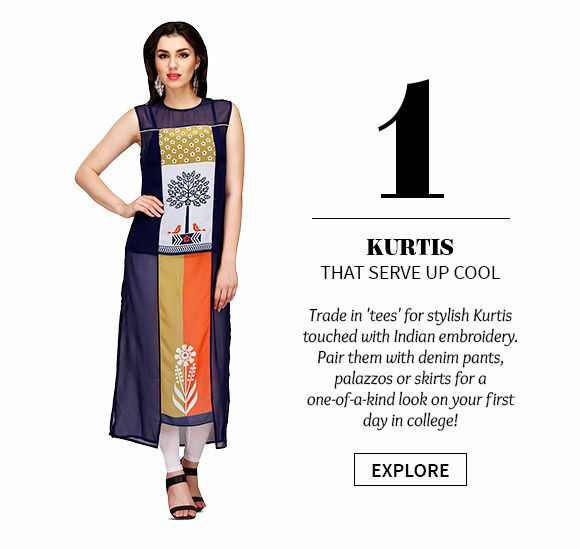 Our array of Kurtis, Skirts, Jackets, Dupattas make it easy to take the classroom in your stride. You’ll love our Cotton, Georgette and Chanderi Silk Kurtis with light Gota Patti, Resham and mirror work. 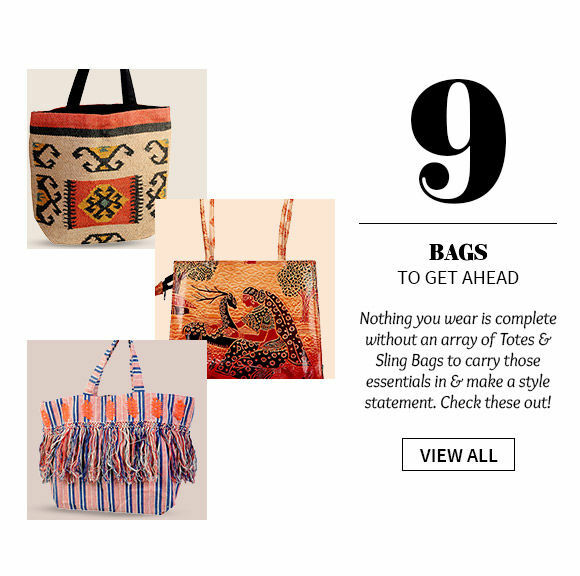 Or go for Block printed or single-colored ones with jeans, straight pants and skirts. 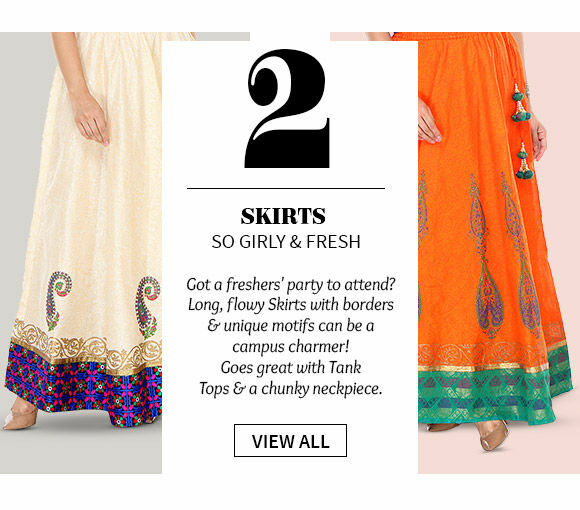 Indian Long Skirts with borders and unique motifs are a student’s favorite. Get them in Black, Bottle Green, Indigo and Crimson with golden booti, Block Print and Ikkat work. 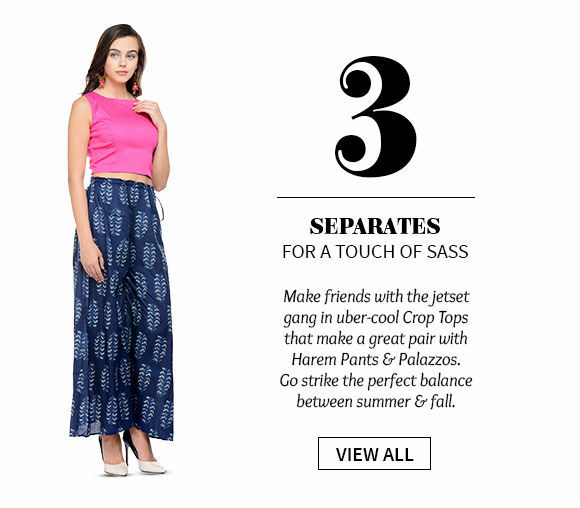 Look youthful and exuberant in our Mix-n-Match array of Crop Tops, Harem Pants, Dhoti Pants, tunics and shirts. 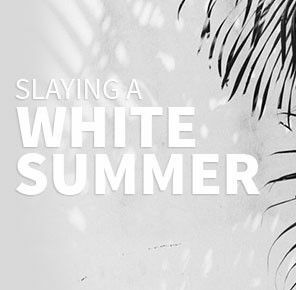 Find V necks and Chinese collar styles with lowers of different lengths. Block Printed, Monotone and multicolor Jackets from India are uber chic. 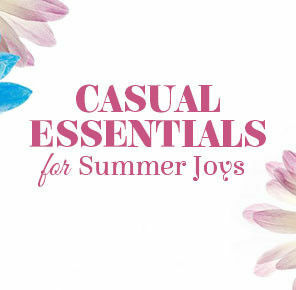 Layer it over Kurtis, tops and tunics to give a formal accent to the classroom. 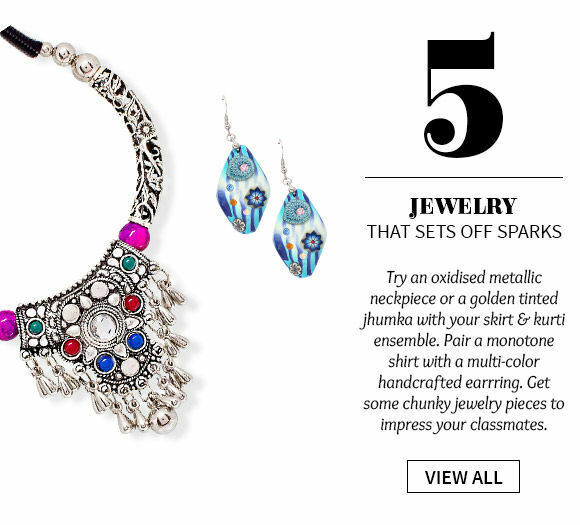 Shop for jhumkis, oxidised pieces, multicolor earrings, bracelets, rings and anklets, and other contemporary jewelry to go with ethnic campus wear. 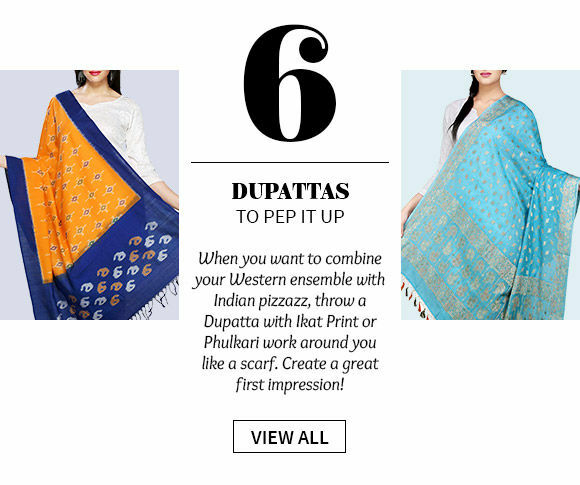 The perfect way to look Indian, feminine and boho at the same time is to shop for Dupattas. Choose dupattas and stoles in Ikat print or block print in Cotton or Chanderi Silk. 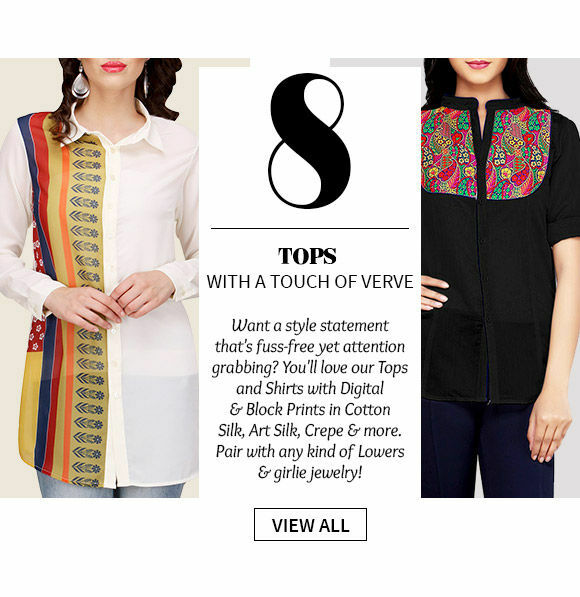 Definitely the best attires for campus are Tops in Cotton, Silk and Crepe. 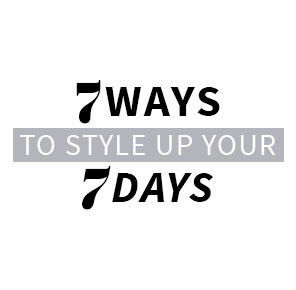 Tops look great with different lowers and come in neutral tones, bright colors and candilicious pastels.